For sale in pdf $14 each using paypal. All three trios would be $42 purchased separately. If you order all three at one time, the sale price is $40. Yes, they are GORGEOUS, if I do say so myself. (read rave reviews here.) 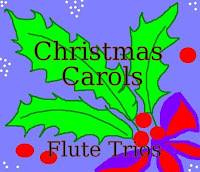 I've arranged three suites of Celtic Flute trios for three c-flutes. All of them come with separate flute parts and full score. Have a listen and look at the pages below. Listen to a midi play whole score. Scarborough Fair - Mari's Wedding. See sample page of score here. Listen to midi of whole score. See sample page of score. Listen to midi of whole score on mp3. All three trios would be $42. If you order all three at one time, the price is $40. Cues, breath marks when needed, and all editing has been done in advance. Plus, every player gets equal solo time and each part is an equal level of difficultly. The full score is a handy reference at rehearsals. The trios are suitable for high school aged players as well as particularly useful for gigs for professional flute trios. They're also great for forming trio groups from students who are overlapping their lessons by ten minutes. The individual flute parts come together beautifully on the first read for teachers/pro-players, but there is endless possibility to play them with even greater musicianship. Please enjoy these samples, and email me at jen(at)jennifercluff(dot)com if you would like to purchase them. They are for sale (using Paypal) for $14 each and you will receive them within the day to print out at home. You can also simply log in to paypal and then send a payment to jen(at)jennifercluff(dot)com . Let me know the title of the piece of music you are ordering. Canadian or US dollars fine! Thanks. Each pdf sheetmusic includes the score, and three individual flute parts, inscribed to the buyer. For ensembles where some players have B-foot, and others C-foot, the parts are clearly marked. Just click on the little PLAY button on the left side of mp3s of full-score above to hear them. And if you're looking for wedding music for two flutes such as Pachelbel's Canon, The Flower Song from Lakme, Wager's "Here Comes the Bride" and Trumpet Voluntary by Clarke, plus more celtic country garden music, see my Wedding Duet book ($15) in pdf. Would you be willing to transpose the flute III parts for an alto flute? G? All three flute parts are equal in my arrangements; each flutist plays both high and low, and each has extensive solo passages. Alto wouldn't be able to play the c-flute 3 part, imho. Sorry. We're two flutes and an oboe... Listening to these, it's hard to "visualize" with an oboe's more nasal voice... But would they work? How high do they go? 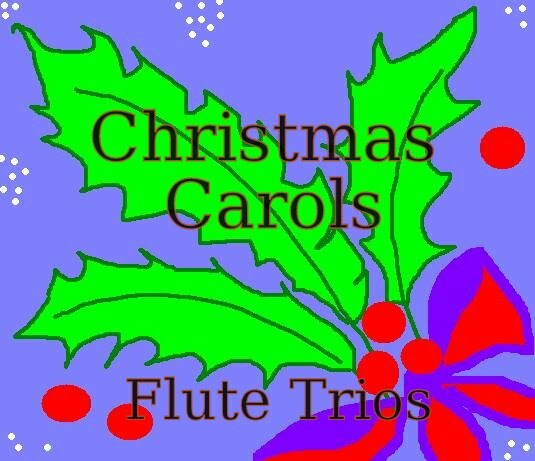 I would give these trios a try if you have two flutes and one oboe. Although the 3rd part goes almost as high (during solos) as flute 1 & 2, it would not hurt the sound to drop an octave occasionally (perhaps four notes altogether in two places or so...). Suite no. 1 highest pitch F#3 once each part, but D3 otherwise. ok, so I was wondering how to make less swells, but make the swells that I AM making, stand out.